‘Sony has investigated the PXW-FS5 image artifact issues reported by users. Our engineers have been able to duplicate these issues and identify their root cause. Sony plans to provide a firmware update. Our goal is to issue this revised firmware toward February/end. 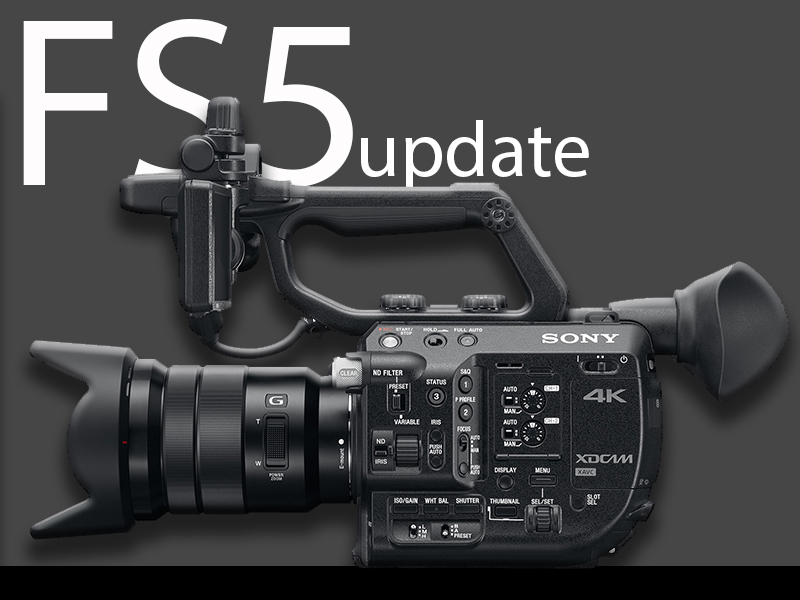 To ensure that users achieve the best results from the FS5, Sony is also preparing guidelines to help professional shooters take full advantage of the FS5’s features, including S-Log and S-Gamut’. My understanding is that this primarily relates to the edge tearing issue as well as the blocking type artefacts that can be seen, particularly at higher gain levels. It’s great to see solid proof that Sony do listen to us. They always have done, but often simply went away and investigated and fixed the issue without actually saying anything. It does still need to be remembered that in UHD the camera is an 8 bit camera and this firmware update will not change that. Nor will it change the recording bit rate. I also do not expect to see a change of the cameras base ISO, so don’t expect to see any significant difference to the cameras noise levels. So while I am sure the firmware will bring a useful and welcome improvement to the image quality, you will still need to be careful how you shoot with the camera, especially in low light or with S-log in UHD. The user guides that are being prepared will hopefully address these areas. Thank you Philip for being out front on this issue!! This is fantastic news. Thank you Sony! Thank you Sony again. You were honest with your customers and really moved fast on this one. I think most ofthe problems are from choosing to go with SD cards instead of XQD cards that have a faster pocessing speed. IF Sony could change the Card system I think most of the problems could me eleminated. The FS7 which has XQD cards do not have the limitations that the SD cards in the FS5 do. Hi do you believe that sony will bring out a fs5 type camera with a full size sensor from A7sii ? Is this not what film makers and event videographers have been waiting for ? HDW : I think it will come in time once they run out of ideas and super 35mm sensors, possibly with 8K.